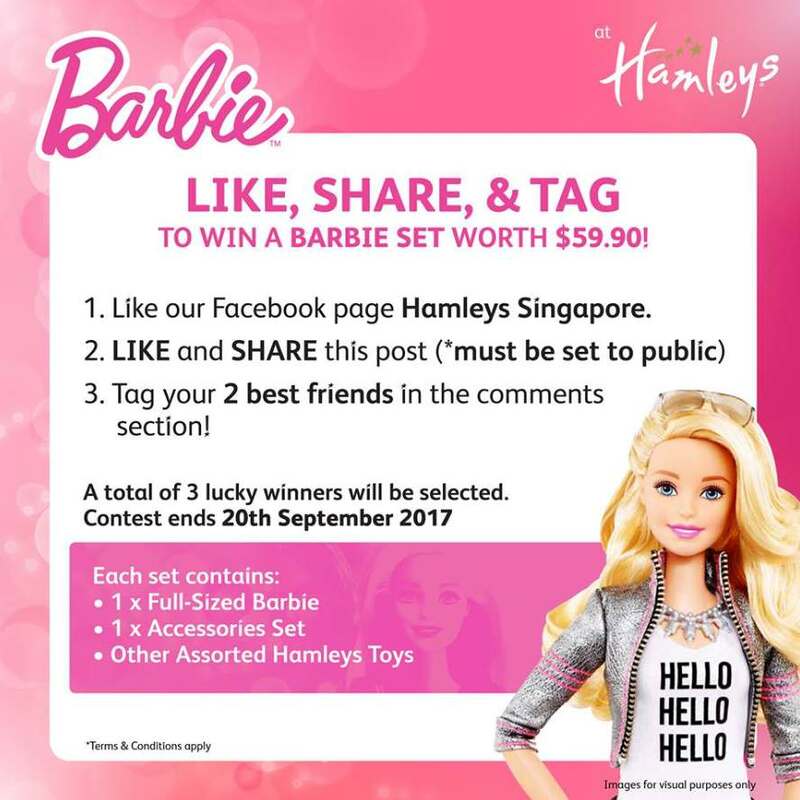 (Hamleys Giveaway) Win an amazing Barbie Set worth $59.90! ?? ? A total of 3 lucky winners will be selected. 1) Like our Facebook page Hamleys Singapore. 3) Tag your 2 best friends in the comments section. Contest ends 20th September 2017. Find out more at Hamleys Singapore.